MAY! 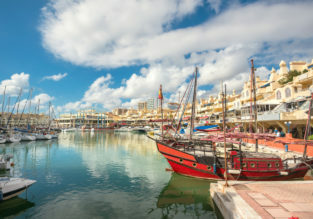 7 nights at top-rated aparthotel in Costa del Sol & cheap flights from Belfast for just £134! Discover Spain! 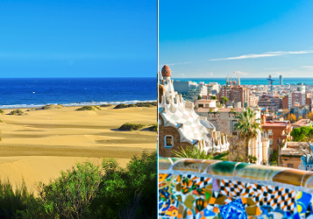 Gran Canaria, Barcelona, Palma de Mallorca, Madrid, Ibiza and Malaga in one trip from London for £39! 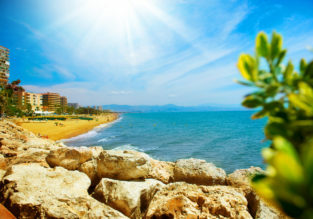 7 nights at top rated 4* resort in Costa del Sol & flights from Belfast for just £124! 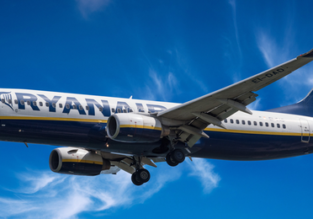 Ryanair to launch its 1st ever flights from Exeter, UK! 7-night stay at well-rated aparthotel in Costa del Sol + cheap flights from UK for just £157! 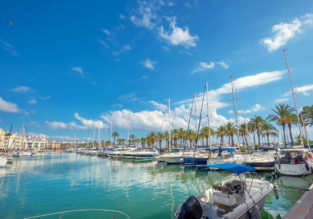 7-night stay in top-rated 4* aparthotel in Costa Del Sol + spring flights from Belfast for £177! Monarch sale from UK to Spain, France, Switzerland and Austria from just £19 one way! 3-night stay in 3* hotel in Costa del Sol with breakfasts + flights from Leeds for just £85! 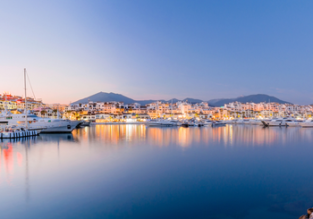 3-night stay in well-rated Aparthotel in Costa del Sol with breakfasts+ flights from London for just £103!